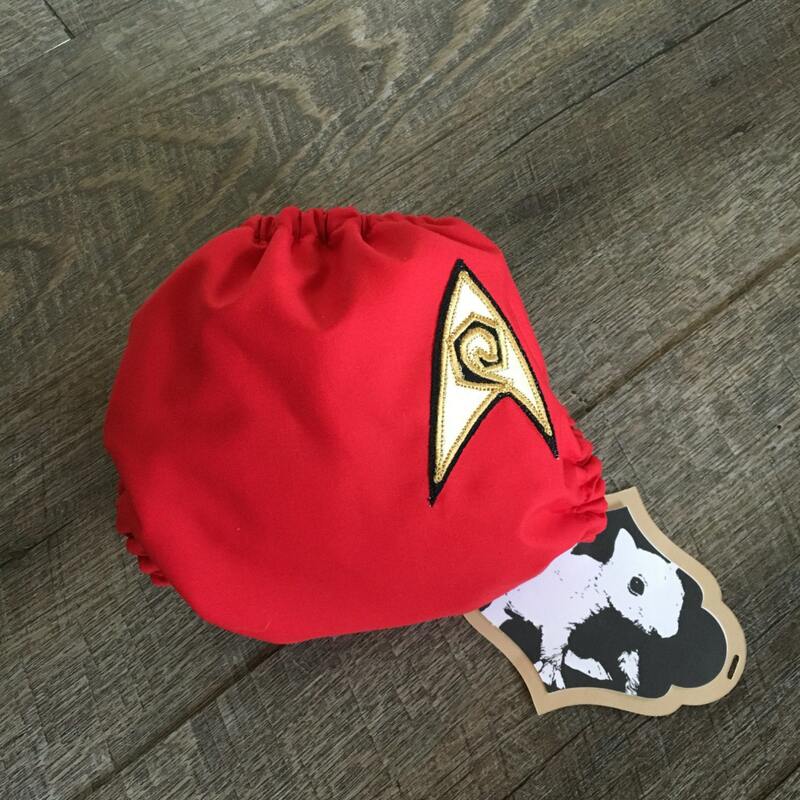 Show off your Star Trek fandom with a one-of-a-kind handmade cloth diaper from The Albino Squirrel. Needs to overlap for the top snaps, but almost fits (13lbs, 26") and is super cute! Cute diaper. I've ordered red and gold covers. The red looks fantastic. The gold one not so much. The gold image wasn't up when I purchased so I didn't know what kind of gold I would get. Not impressed with the color. 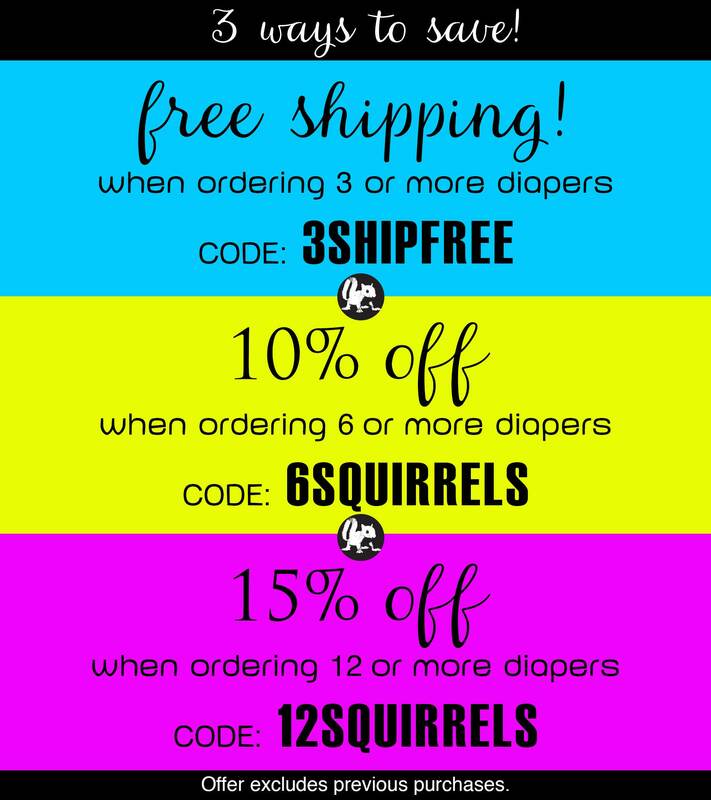 I would have still order as I want the diaper. 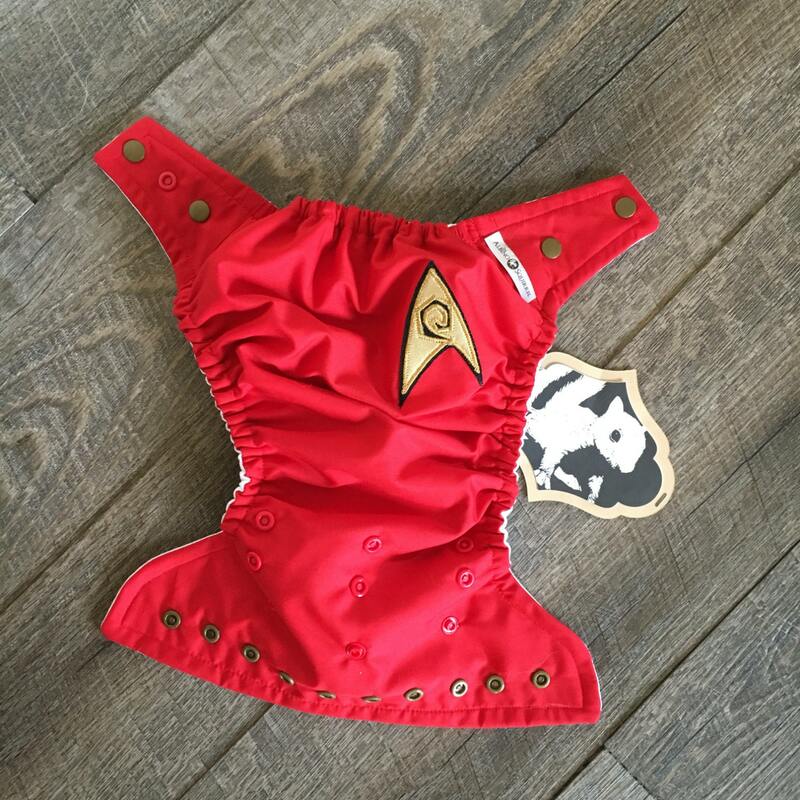 The outer on both diapers is not pul. It's cotton that pilled horribly after the first wash. The red bled onto my inserts and another cotton diaper. Not happy at all with that. Cute diaper. I've ordered red and gold covers. The red looks fantastic. The gold one not so much. The gold image wasn't up when I purchased so I didn't know what kind of gold I would get. Not impressed with the color. I would have still order as I want the diaper. Not the reason for 3star though. 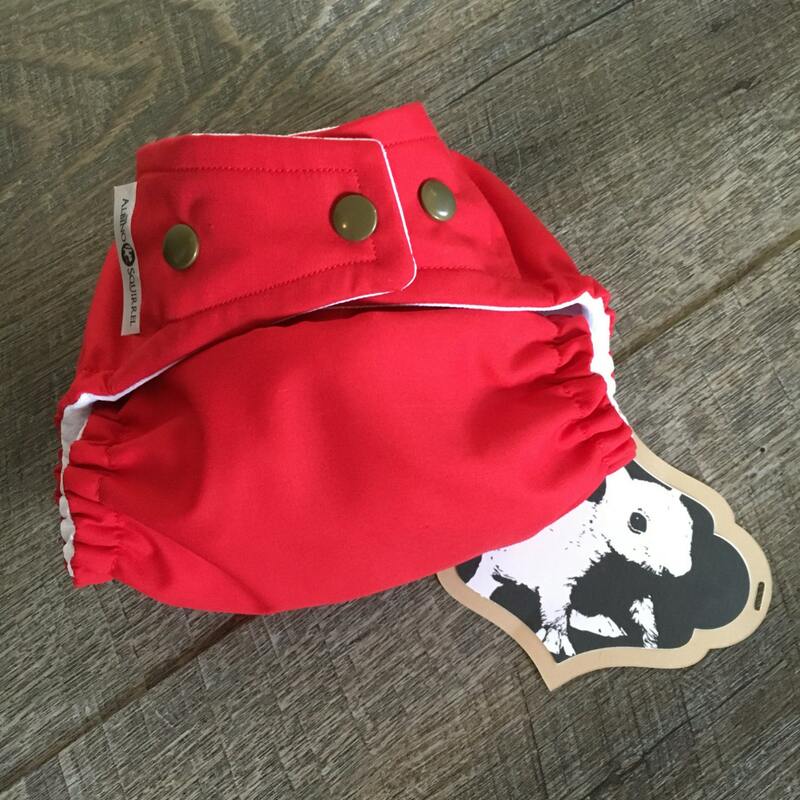 The reasons for that are the outer on both diapers is not pul. It's cotton that pilled horribly after the first wash. The red bled onto my inserts and another cotton diaper. Not happy at all with that.